A dear friend of mine from college Liz Carroll of Liz Carroll Interiors sent me over these images today of a nursery that she recently completed for a client. 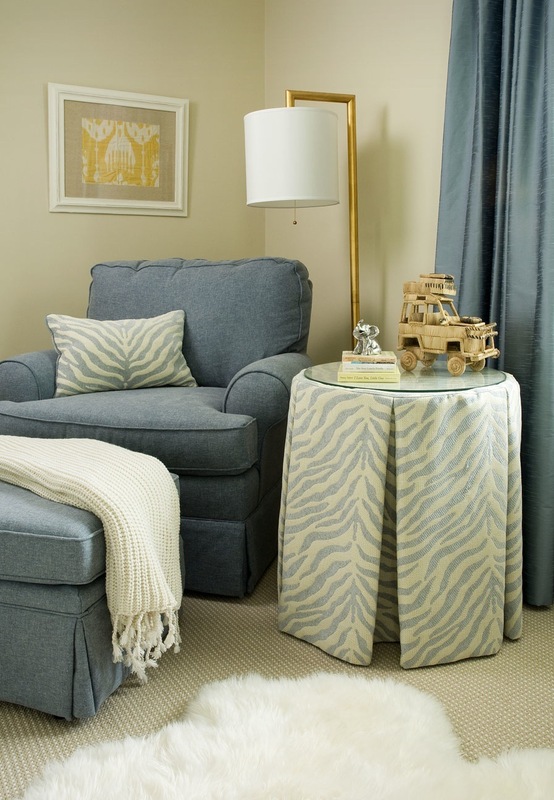 The neutral beige walls paired with the dusty stormy blue upholstery create a beautiful sophisticated and soothing space. 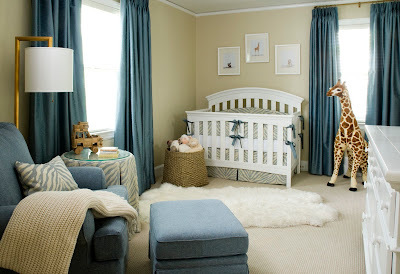 The Sharon Montrose baby animal prints above the crib are a favorite of mine and I'm dying to know who makes the chic floor lamp! It is perfect next to a glider. Thank you for sharing this with us Liz! Who would have known that 12 years ago we were in Business School together at UNC and now we both have our own design businesses and two kids! Lovely space! Do you know the source or the sheepskin rug, if it is faux? Thanks! 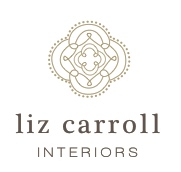 Liz Carroll is one of the most talented people I know! 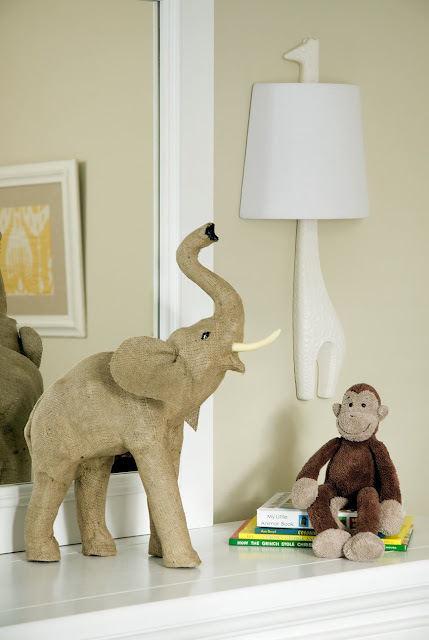 What a beautiful and sophisticated room for a little man! I don't think there's a single piece of furniture in there (except the crib of course) that wouldn't fit in perfectly anywhere in the house. That's some serious staying power! Also didn't know you went to UNC. GO HEELS! What a lovely, peaceful nursery. Wonderful job, Liz!